Leading Manufacturer of synthetic yellow oxide, synthetic red oxide, synthetic orange oxide and synthetic black oxide from Mumbai. Backed by rich industry experience and knowledge, we are engaged in introducing optimum quality Synthetic Yellow Oxide. Offered synthetic yellow oxide is processed under the direction of our quality experts by using finest ingredients at par with set quality standards. This synthetic yellow oxide is highly famous for its high tinting strength, clean shades, good dispersion, UV stability, weather resistant, heat stable. 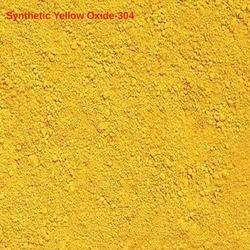 We are offering this synthetic yellow oxide from us at reasonable price. Our company is known all across the market as the distinguished enterprise engaged in offering Synthetic Red Oxide. 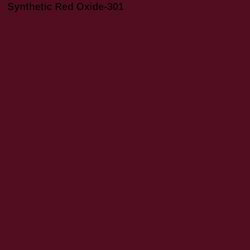 The offered synthetic red oxide is widely used for painting and coatings of materials surface to prevent them from rust. This synthetic red oxide is resistance to alkali, non-toxic and non-inflammable & produce very attractive shades of variegated colors. Also, customers can avail the offered synthetic red oxide from us in numerous packaging within a given time. To meet the diverse requirements of our clients, we are offering superior quality Synthetic Orange Oxide. This synthetic orange oxide is processed under the supervision of skilful professionals using exceptional quality basic chemicals in compliance with standards. 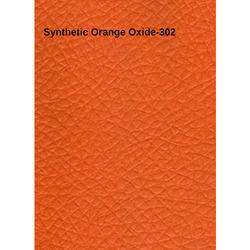 The offered synthetic orange oxides are used to color concrete products, paints, plastics, and other metallic media. Our offered synthetic orange oxide is made available in various packaging options for delivery within assured schedules of delivery. Our valuable clients can avail from us premium quality range of Synthetic Black Oxide that is used in garment, textile, rubber, plastic industry for coloring several types of products. Our offered pigment is processed under the strict guidance of our experienced professionals making use of premium grade chemical compounds and advanced technology. Free from all kinds of impurities, this pigment is highly appreciated for its stabilized nature. Besides, we offer this pigment at industry leading prices in different packaging options.